Every time I headed up to Florida State to see my kids, they asked that I bring our dog. Let’s face it; the pup is everyone’s favorite family member. Personally, I would rather travel with a pet than have our daughter adopt one of her own that may eventually become mine too, so I often obliged. (You may want to see our blog on Pets at College if you already have a grandbaby with fur.) 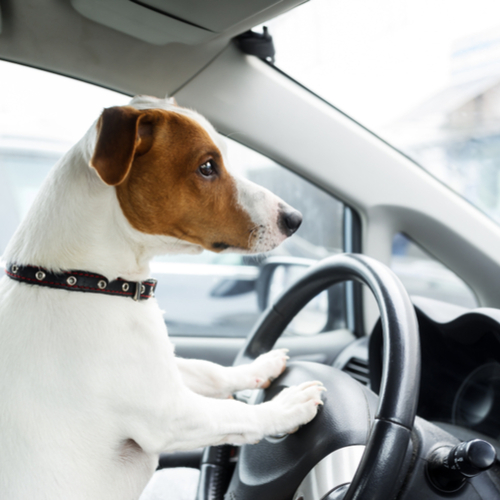 The good news is that is becoming rather common for people to travel with their pets. When it comes to dog-friendly restaurants, unless you have a Service/Emotional Support animal, dog-friendly means you may eat outside with them. Be sure, when making reservations, you tell them you are traveling with a pet. Some have fees. Canine Cove at South County Regional Park – 12551 Glades Rd. Two large dog sections, 1 medium dog and 1 small dog section. Pet fountains, dogi-pot pet stations with plastic bags and waste receptacles, pet washing station. Mizner Bark Dog Park – 751 Banyan Trl. Separate area for small dogs, medium dogs, one for large dogs. Once inside the gated entryway, dogs can run off-leash. Park features include doggie bags, water fountains, wash stations, and trash cans. Woofing Waters Dog Park – 401 S Powerline Rd. Located at Quiet Waters Park. The dog park has facilities for larger dogs, and for smaller dogs. Features for the big dogs include a spray hydrant, a shower nozzle, an eight-nozzle line jet, and nearly 800 linear feet of hard-surface paths. Little dogs also get a shower nozzle and an eight-nozzle line jet, as well as a ring, or water loop, where they can run through an assortment of sprays. The smaller dogs also have a grassy, fenced area they can run around in freely. Pass on these great tips, tell your friends and like us on Facebook, Instagram, and Pinterest. Sign up for other great tips at haveuheard.com.